Sweet Life mixes melodic Congolese Rumba with Hip Hop. 2face and Naeto C’s verses elevate the song’s theme with instantly quotable lines. This is the second collaboration between 2face and Fally Ipupa, they both collaborated on Diaspora Woman a joint off 2014’s The Ascension. The song has been described as ever green by many. 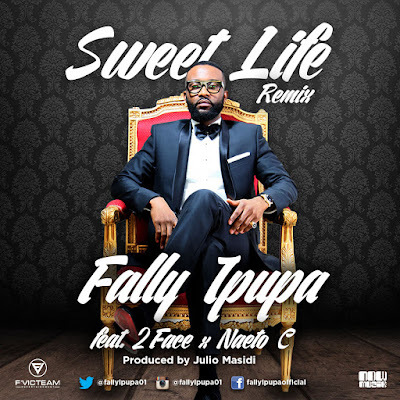 This is the second remix treatment the song has received, the first featured fellow Congolese rapper Bigg masta G.
Sweet Life originally was written by Fally Ipupa and produced by Julio Masidi, the remix featuring 2face and Naeto C is brought to you FVic Team in collaboration with Now Muzik.